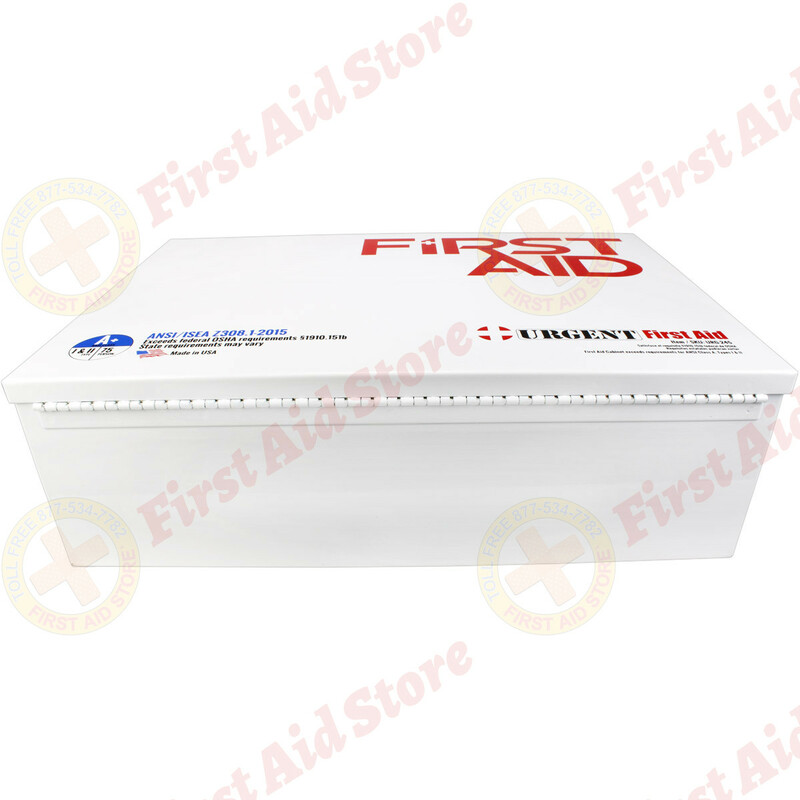 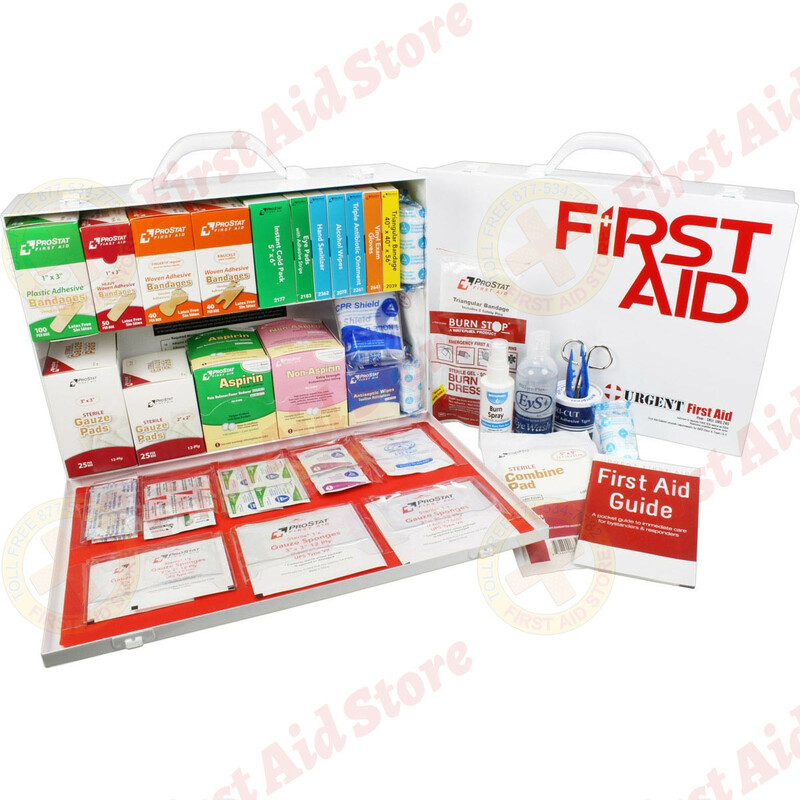 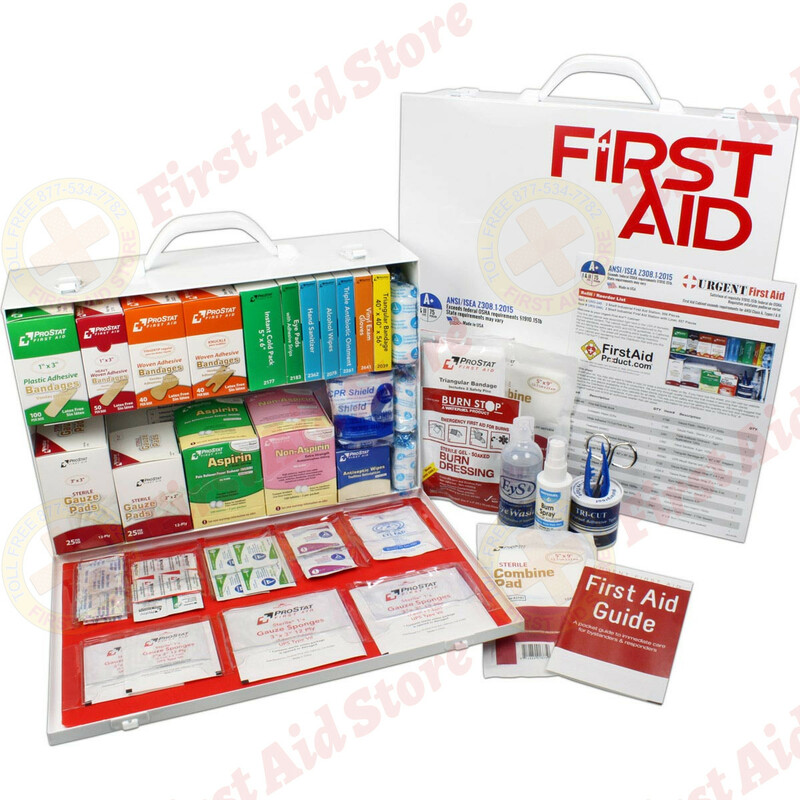 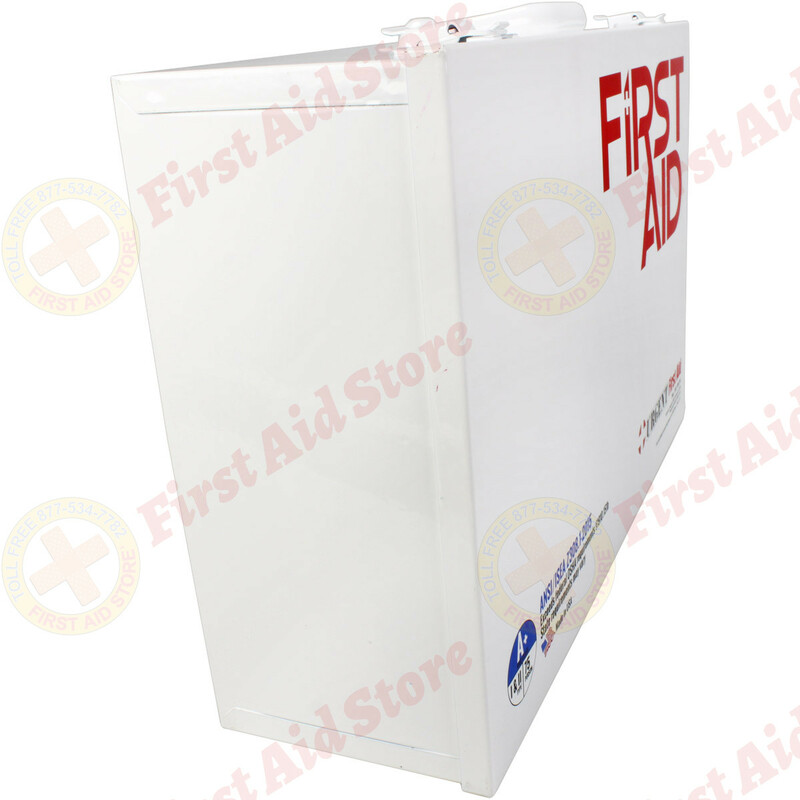 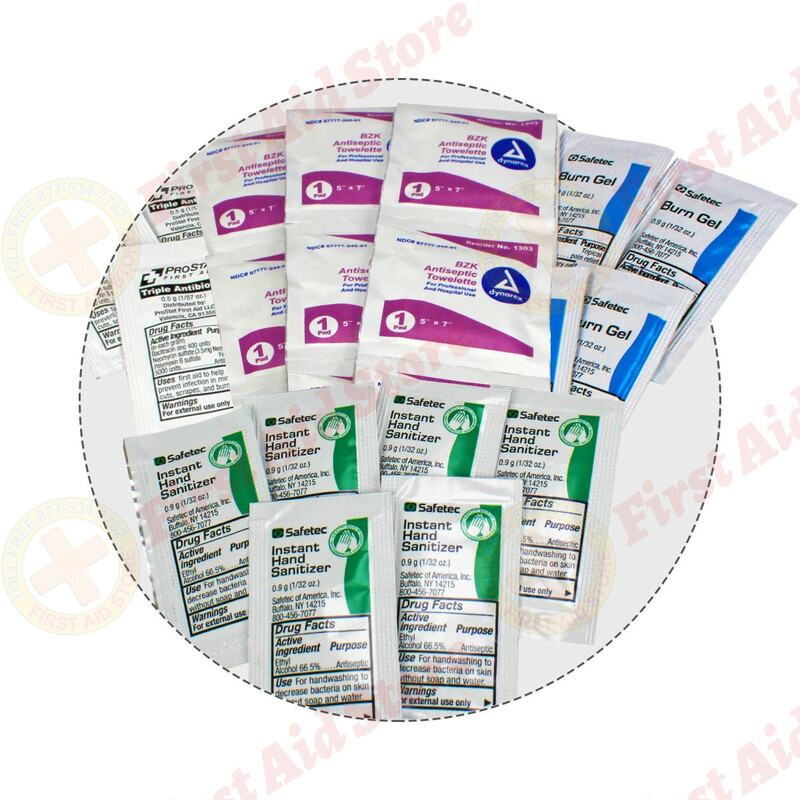 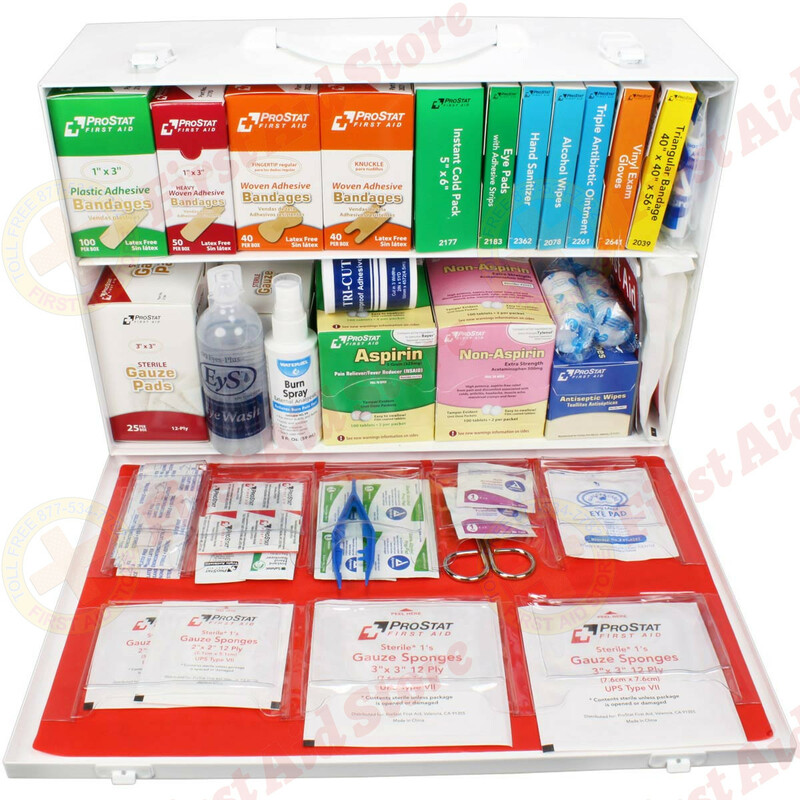 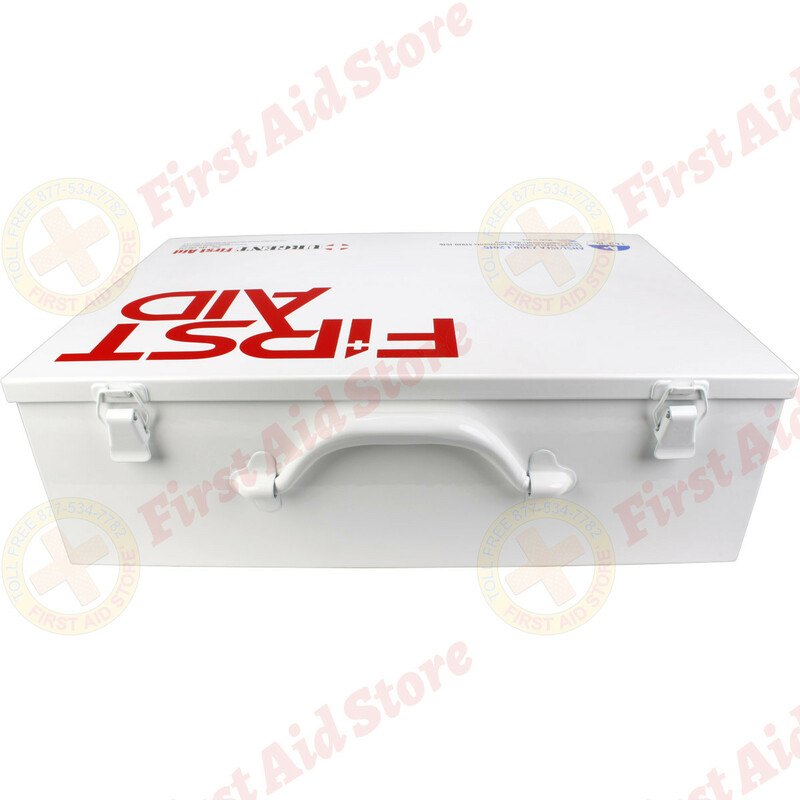 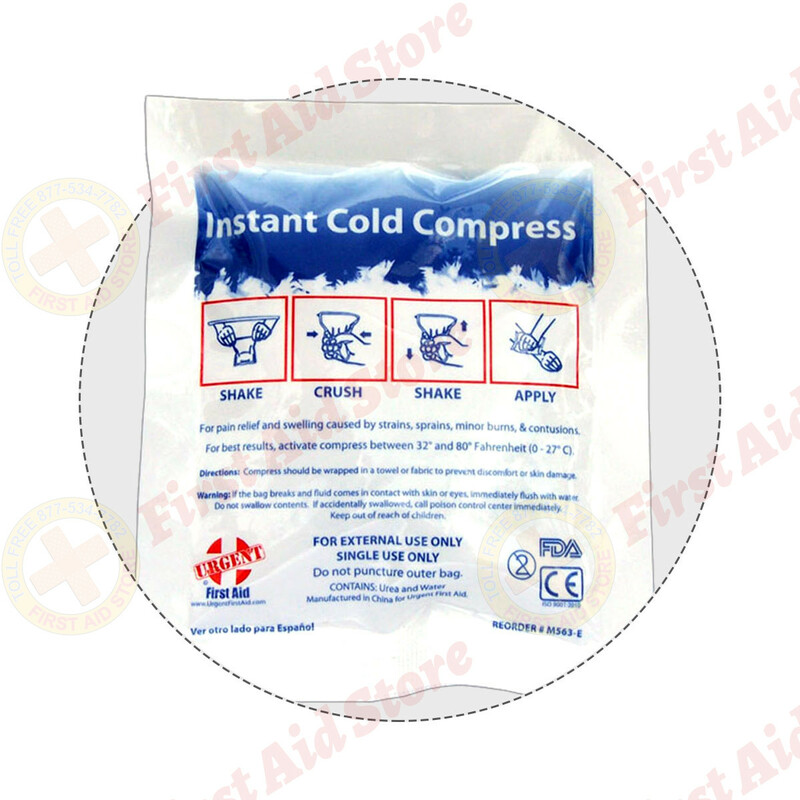 First Aid Store offers this 2-shelf, 557-piece industrial first aid station is designed as an auxiliary kit for smaller businesses, offices and work sites and serves up to 75 people. 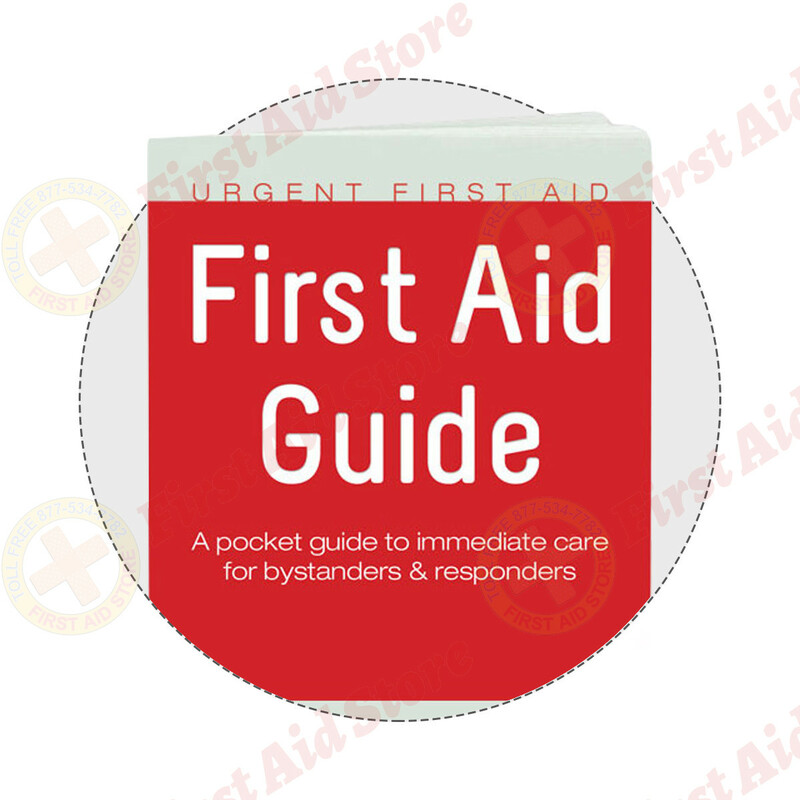 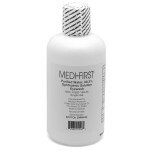 Refills are color-coded for easy identification in an emergency. 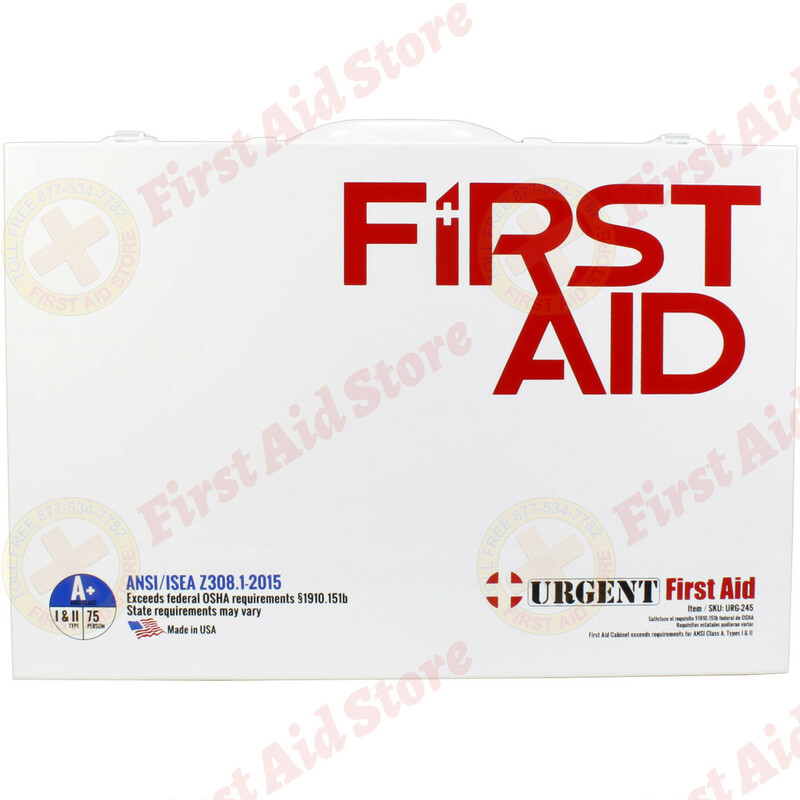 Meets or exceeds OSHA and ANSI 2015 Standard fill requirements. 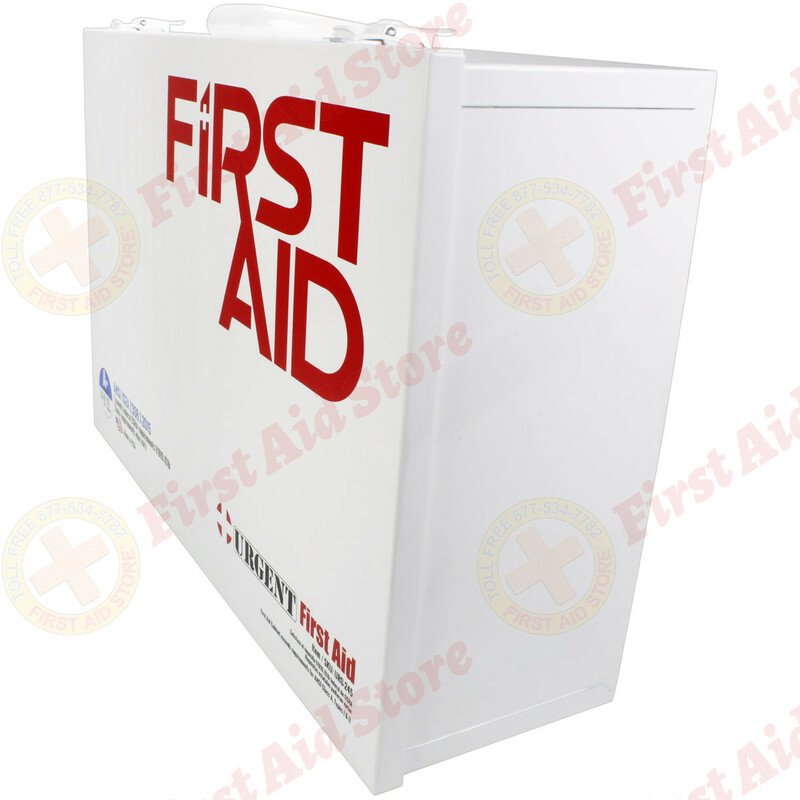 The swing-down door and easy-to-carry handle make this first aid station extra convenient. 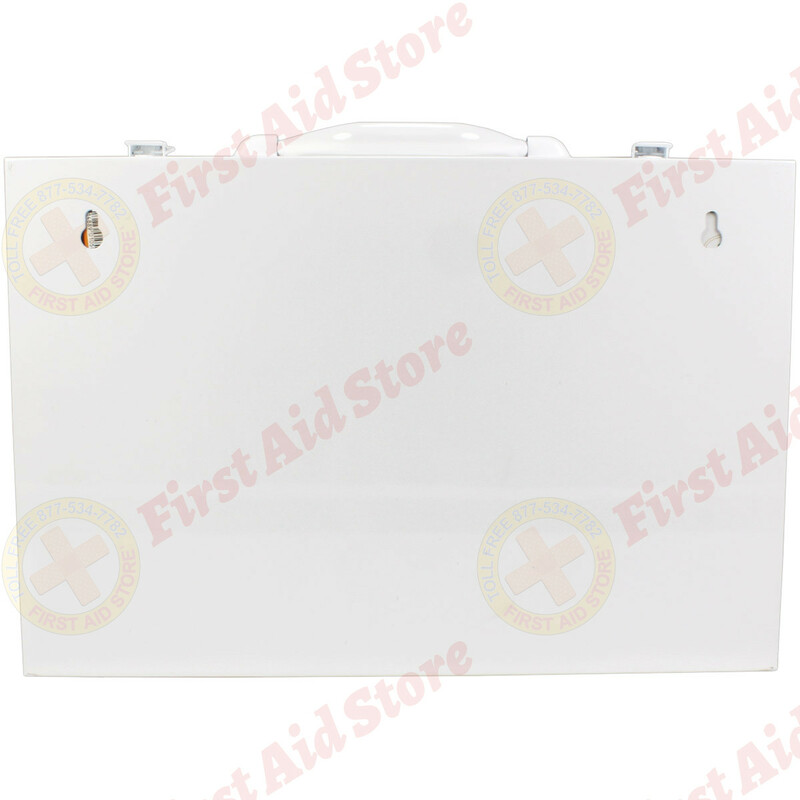 Assembled in USA. Contains domestic and imported items. 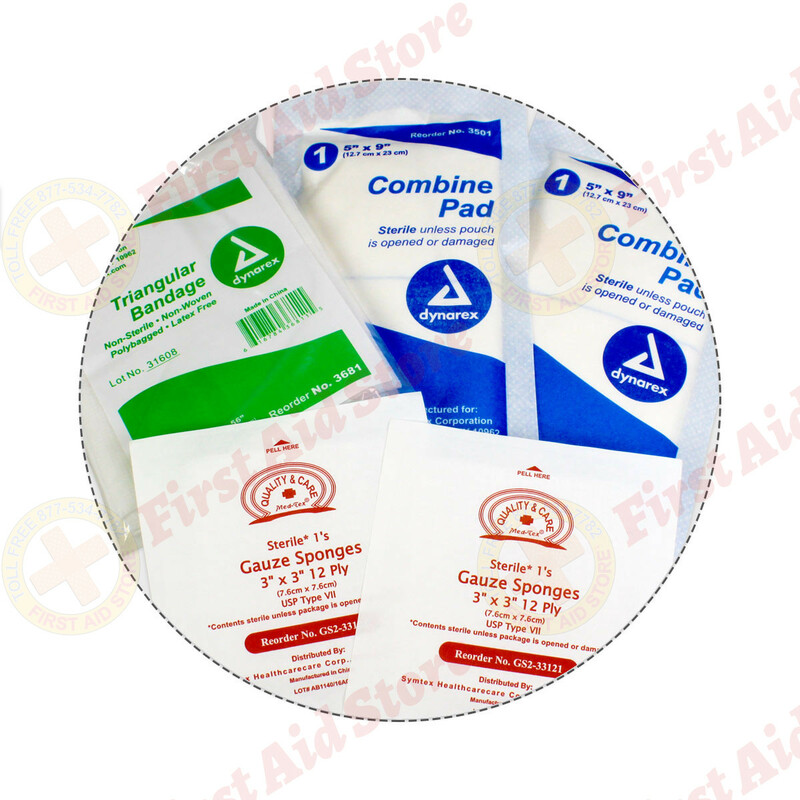 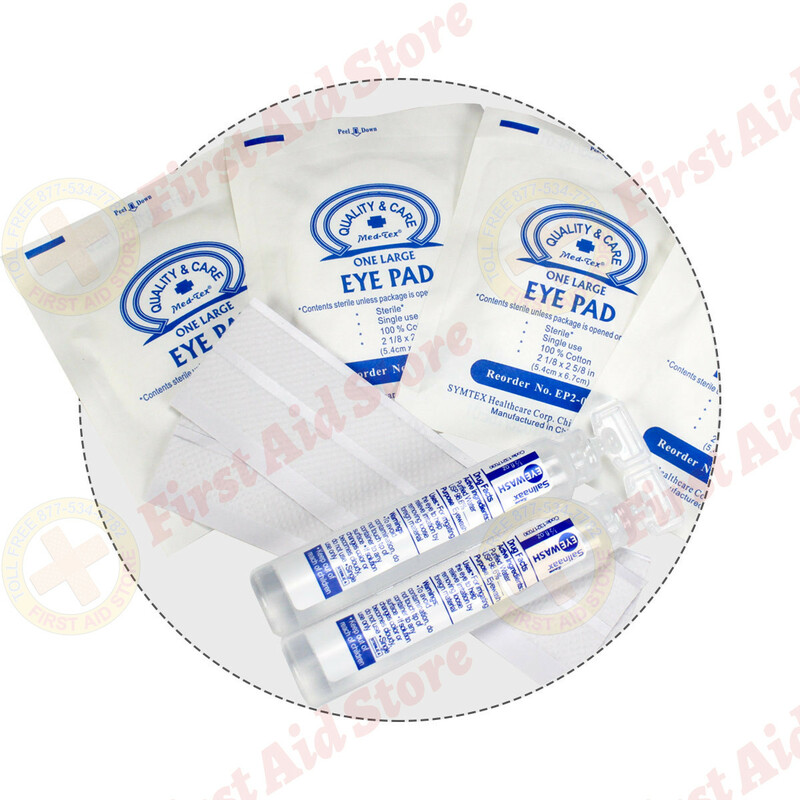 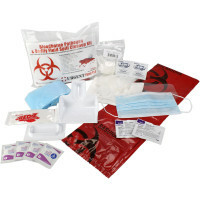 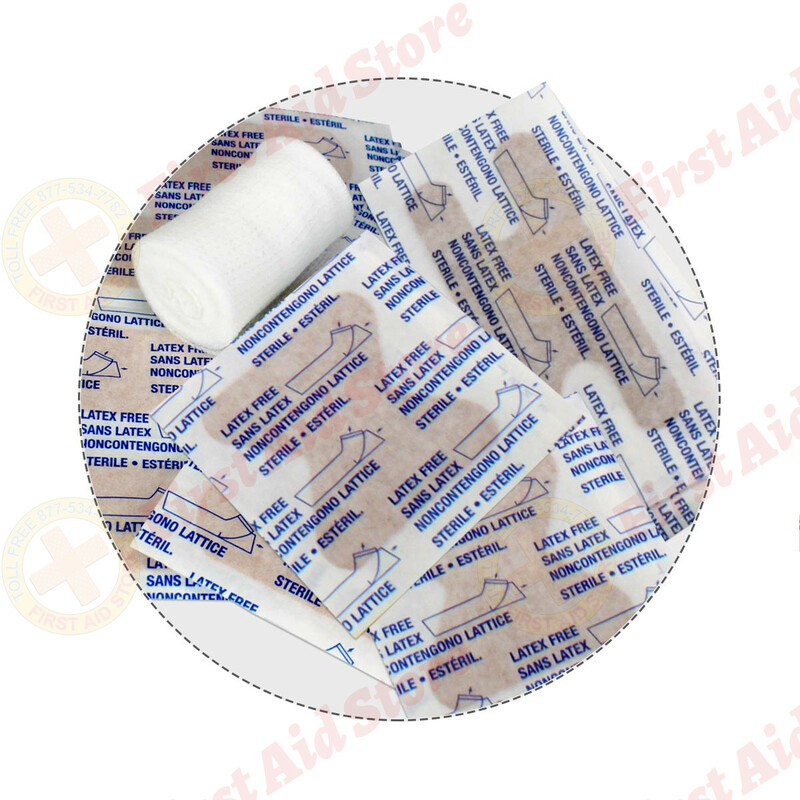 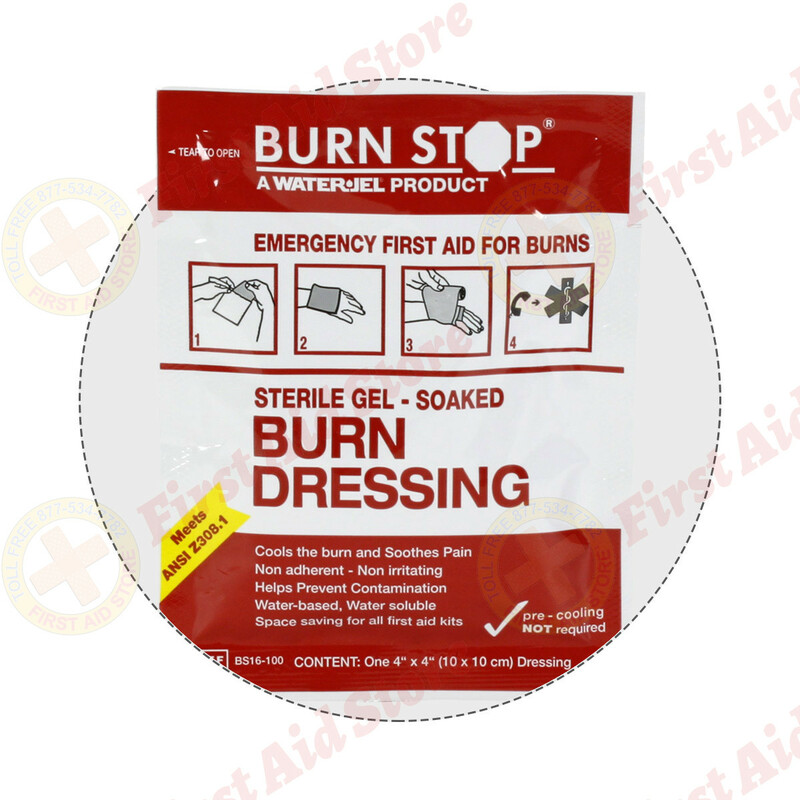 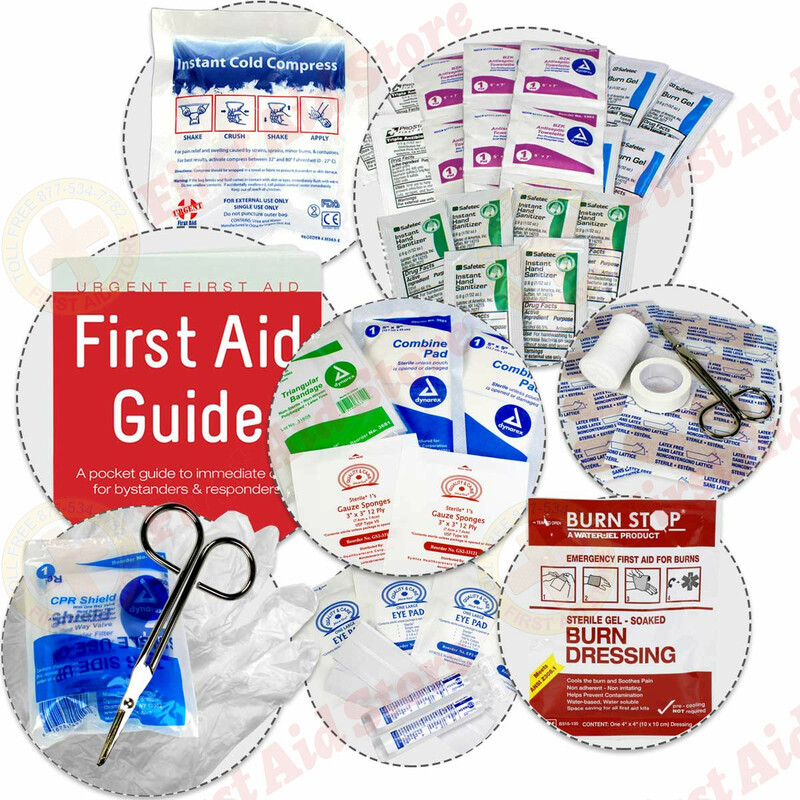 (2) 2541: ABD Combine Pad 5" X 9"
(1) M582: Wire Handle Scissors 4.5"
(1) 3469: Burn Dressing, 4" x 4"
Kit Dimensions: 15.5" x 4.875" x 10.5"
The Urgent First Aid 2 Shelf Industrial First Aid Station - Pocketliner - 75 Person - ANSI A+.